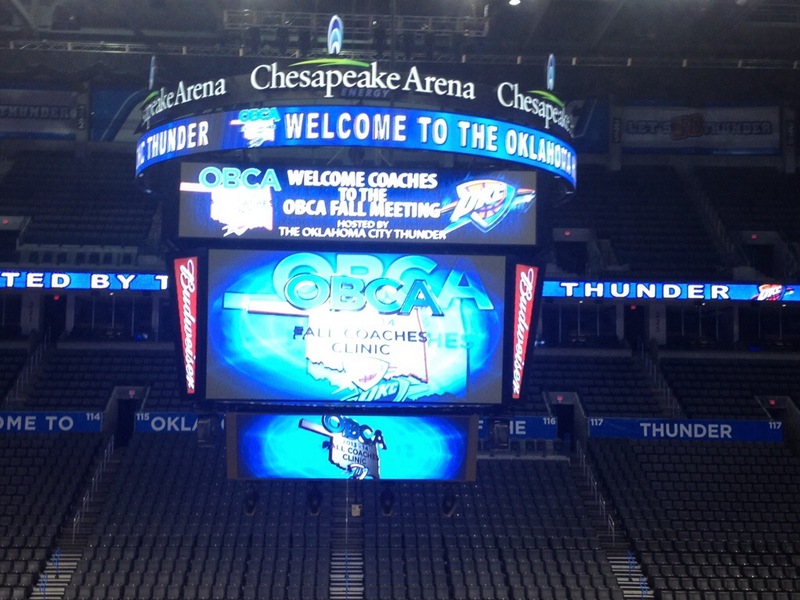 Thanks to the OKC Thunder for their hospitality and resources in hosting the OBCA Fall Clinic. This is the third year of this partnership with our organization and the event continues to improve each and every year. We are able to have a First Class event due to the cooperation of a First Class organization. Special thanks to Kelly McKuen and Amy Oare from the Thunder Marketing Department. They are both invaluable to our organization in regards to the Fall Clinic. Their attention to detail and professionalism are remarkable. The OBCA is privileged to be able to work with them in the planning of the Fall Clinic. This entry was posted on September 23, 2013 at 6:16 pm and is filed under Uncategorized. You can follow any responses to this entry through the RSS 2.0 feed. You can leave a response, or trackback from your own site.